Media Round-up… Now Is the Time Tour all over the news! Publix, Wendy’s stand against historic changes in the fields draws attention from state, national, campus and faith press! Workers and allies gather in the pre-dawn cool for a reflection ahead of last Saturday’s big march through Publix’s hometown of Lakeland, Florida. On Monday, we told our own story of the exciting 10-day, 10-city Now Is the Time Tour, reporting on the huge final march through Lakeland and looking back at the tour as a whole and the roots of Publix’s unconscionable stance against progress in Florida’s fields. Today we wanted to bring you links and excerpts from all the media reports on the tour that have come out since our last media round-up, including stories in state and national press as well as some campus and faith papers covering the Student/Farmworker Alliance’s burgeoning new “Boot the Braids” campaign. 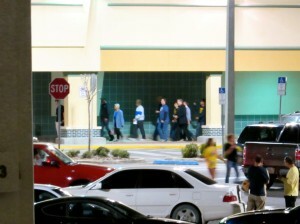 The Coalition of Immokalee Workers holds a vigil outside of Publix in Lakeland, Florida on Friday, March 14 (Photo courtesy of CIW)The Immokalee, Florida migrant farmworkers who have forced some of the biggest food industry corporations in the world to acquiesce to their demands for “dignity” in the fields say they are determined to make Wendy’s and Publix do the same. To prove it, the Coalition of Immokalee Workers launched their ‘Now Is the Time’ tour in early March, staging rallies and actions in ten cities in 10 days that culminated in an overnight vigil of hundreds at a Lakeland, Florida Publix on Friday and Saturday. Their demands? 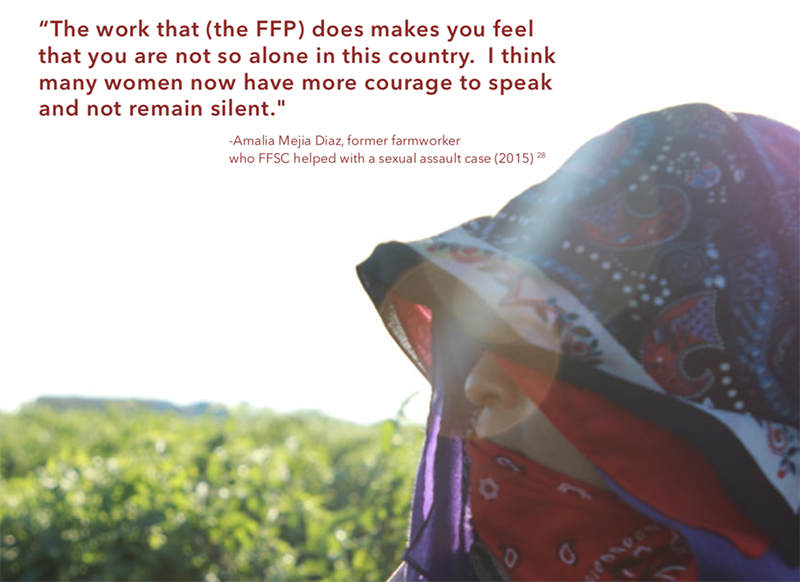 That Wendy’s and Publix support a penny-per-pound pay increase for tomato pickers, back-up a zero-tolerance policy for abuse and sexual harassment, and allow workers to exercise their rights to organize and work safely. 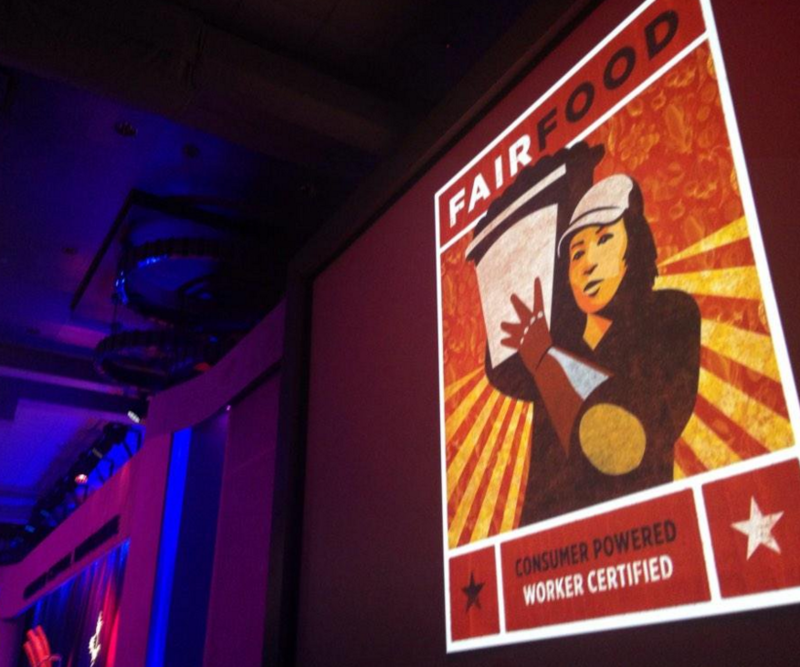 Now under the banner of the Fair Food Program, these demands emerged from the earliest days of CIW organizing in the early 1990s, in which mostly Mexico, Guatemala, and Haiti born migrant farmworkers joined together to fight low pay, rampant wage theft, workplace abuse, and modern-day slavery. The organization, which has since swelled to 5,000 farmworker members, has forced a dozen of the world’s wealthiest fast food and grocery corporations to sign onto the Fair Food Program, including Walmart in January 2014. 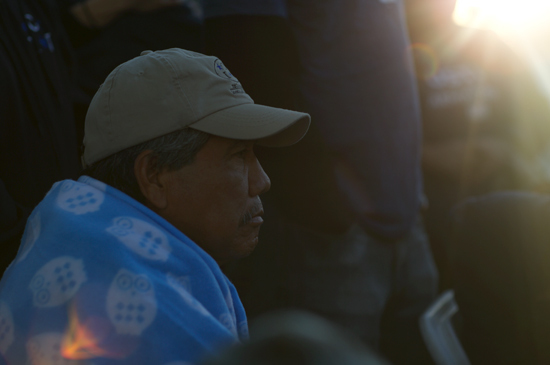 “We have seen that if we work together as one with strength and commitment and faith, we can change things,” said Lupe Gonzalo, a farmworker and member of CIW, in an interview with Common Dreams. 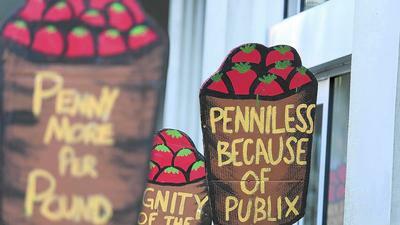 Yet, after four years of pressure, Publix — a grocery retail giant currently expanding across the southeast — has so far refused to sign on or even meet with CIW representatives, say organizers. Wendy’s, one of the largest fast food chains in the U.S., has refused to get on board for over a year. So, over 50 CIW members traveled to meet with supporters from Atlanta, Georgia to Nashville, Tennessee where they staged actions demanding Wendy’s and Publix enter the Fair Food Program. CIW rallied at Wendy’s in Louiseville, Kentucky — the town that houses Yum! 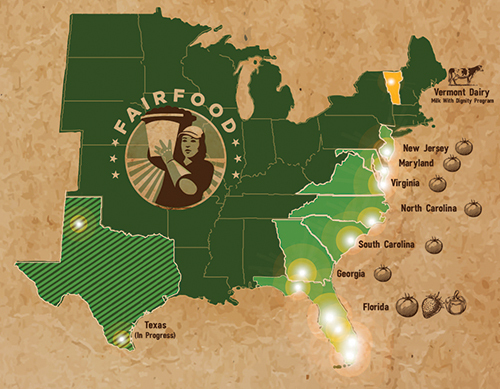 Brands — which in 2005 signed the organization’s first ever fair food agreement won by a four-year boycott of Yum! subsidiary Taco Bell. Scores of marchers gathered this weekend in Polk County in hopes of prompting Publix to join a campaign designed to give tomato pickers decent wages and working conditions. A 24-hour vigil that started at 2 p.m. Friday outside the Southgate Publix supermarket in Polk County followed by a 3-mile march to downtown Lakeland on Saturday was the culmination the “Now is the Time” multi-state bus tour across the Southeast. About 50 farmworkers with the Coalition of Immokalee Workers left South Florida on March 5, to kick off a 10-day tour with stops in several places including Jacksonville, Atlanta and Nashville, Tenn.
CIW wants Florida’s largest grocer to agree to pay a penny more per pound of tomatoes under a “Fair Food” agreement. The battle for the extra penny has lasted more than four years but no agreement with Publix appears to be on the horizon. Other large companies — including Walmart Burger King, Taco Bell and food-services giant Aramark —are on board. Activists also want support from Wendy’s. We’re here “to celebrate the dramatic transformation underway as a result of a the Fair Food program and communicate the urgency of Publix’s participation as (Publix) continues to ignore us, to disseminate misleading statements and turn their back on the farmworkers who fuel their soaring profits,” said Oscar Otzoy, a farmworker and CIW member. The Lakeland-based chain has long resisted calls from farmworkers and their allies, saying it will not get involved in a labor dispute and would gladly pay the extra penny if it were included in the price from suppliers. But organizers say Publix is unwilling to participate in the discussions and reach and agreement. More than 1,000 people from across the nation joined Saturday’s rally in downtown Lakeland, Otzoy said. 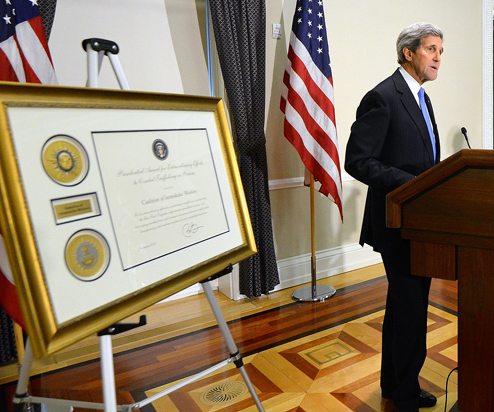 “It fill us with pride to see the number of people who have joined us,” he added. Presbyterian women and men are standing with migrant farmworkers during the Coalition of Immokalee Worker (CIW)’s ten-day, ten-city march from Immokalee, Florida, to Wendy’s home state of Ohio and back. The march will end with a 24-hour vigil Friday at Publix in Lakeland, Florida. The tour stopped in Louisville, Kentucky, yesterday and is headed to Nashville today. 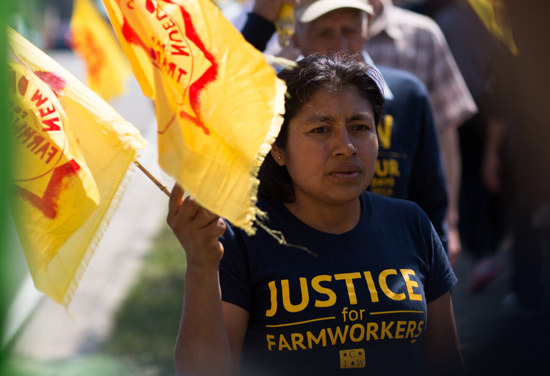 The march recalls other CIW marches and protests, and capitalizes on advances in farmworkers’ rights, corporate responsibility and growers’ accountability. 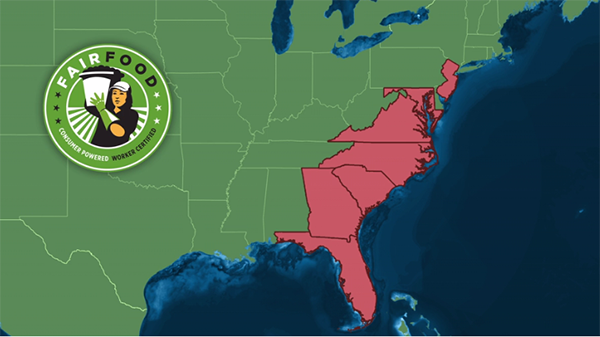 In 2000, CIW’s dramatic 200-mile march galvanized public support for ending exploitation in Florida’s tomato fields and culminated in a call for Publix to honor the work of farmers by committing to pay them more and protect their safety. The current march began in Immokalee on March 5 and will end in Lakeland on March 15. If you live anywhere near the sunny state of Florida, bets are you have heard of a group of tomato pickers who are taking the East Coast by storm. 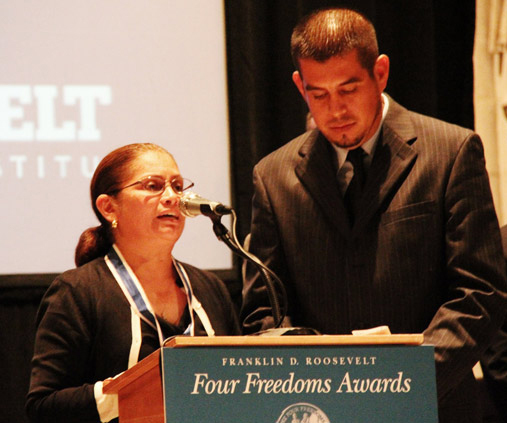 Formed in the 1990’s by a small group of workers who began meeting in a local church to discuss ways to better their living and working conditions, the Coalition of Immokalee Workers (CIW) now boasts accolades from both the United Nations and the White House. 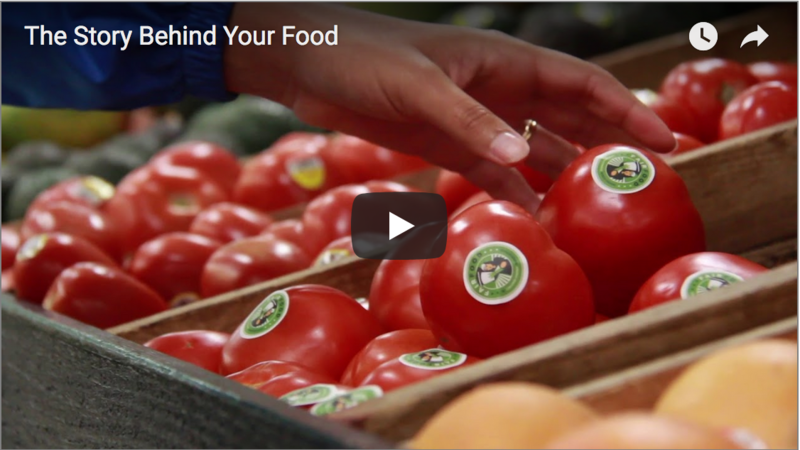 Their Fair Food Program, which ensures better wages and living conditions for tomato pickers in Florida, is transforming farm workers’ lives in the small town of Immokalee and making a big splash in the larger workers’ rights arena. Nearly 800 activists, including students, farmworkers and families, gathered in Ohio, according to Adamson. She said the weekend of events included a candlelight vigil to celebrate International Women’s Day, a concert and dance at a Columbus church, as well as a march to Wendy’s flagship restaurant near the corporate headquarters in Dublin, Ohio. Protest attendee Margaret Young said the weekend was well-organized and a great experience. The Tufts students who attended the protest were members of a variety of different student groups, including Tufts Labor Coalition, United for Immigrant Justice, the First Generation Student Council and the Tisch Scholars, according to Adamson. While the Tufts Community Union (TCU) Senate provided the groups with $1000 of funding, attendees paid $125 per person for a train and bus they shared with other university students. Student participation was especially important because of the role they play as consumers, Adamson said. “With Taco Bell in , the Student/Farmworker Alliance started a campaign called Boot the Bell where, especially at major universities that had fast food on their campus, students lobbied successfully to cut the contract of Taco Bell at their universities until they signed the Fair Food Agreement,” Adamson said. Nevertheless, Adamson credited the farmworkers for leading the campaign and said that the students are simply following along. Adamson described the protest as “rejuvenating” and said it proves that anyone can create change. While students flocked to the new Wendy’s on State Street to satiate their Frosty cravings, a group of area students last weekend protested unfair treatment of workers on the farms that produce tomatoes for the chain at its Ohio headquarters. That’s a wrap, for now, from the Now Is the Time Tour. As a final treat, we thought we’d bring you one final photo gallery from the epic march in Lakeland this past Saturday… Enjoy! Hundreds of Walk Free members call Wendy’s CEO Emil Brolick in wake of big Dublin march!